Outdoor swimming pool decking exposed to the damage of ultraviolet and moisture for a long time. Different decoration materials are different in appearance, durability, and cost. We must pay special attention to the choice of decking materials. If you are looking for the ideal materials, our WPC decking will be the best choice. 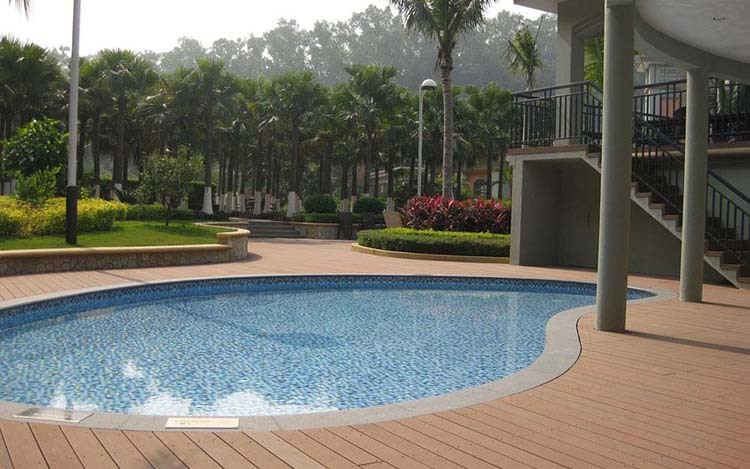 The pool decking is made of composite materials. We strictly control from material selection to production. 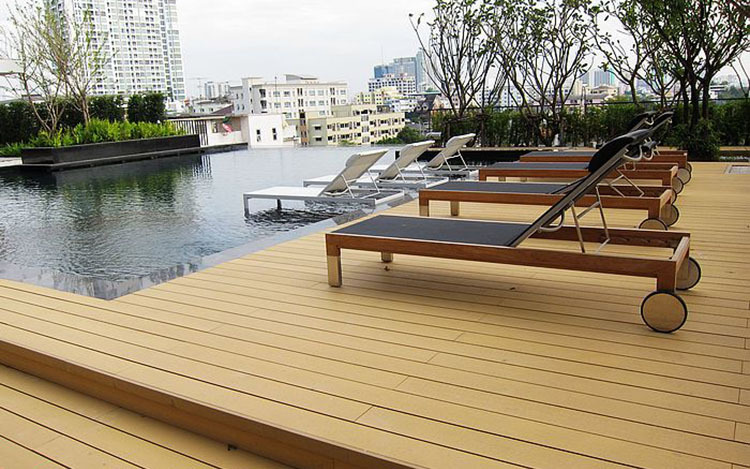 Therefore, WPC decking is suitable for all outdoor environments. 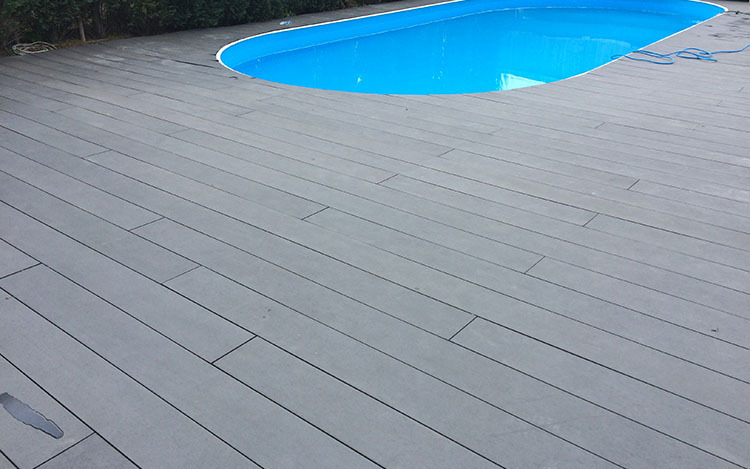 The observe side of our outdoor pool decking has a non-slip and easy to use cleaning function. And the reverse side can apply sanded or engraved treatment. There are six colors of choice for your preference. Our composite decking will not change color in humid condition, so there is no need to worry about the color losing its original color effect. If you like hosting the pool party and use candles as decoration, our WPC decking would be a perfectly safe choice because it meets a certain fire resistance standard. If you want to know more about our composite pool decking pictures and references, please contact Techwoodn for more information.